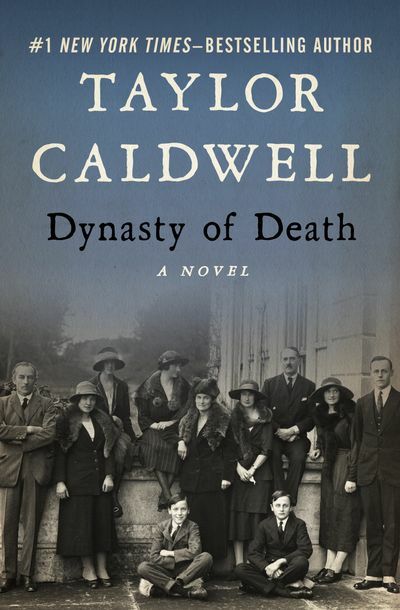 Two families grow a small munitions factory into a global empire in this saga by a New York Times–bestselling author spanning from 1837 to the eve of World War I. In 1837, Joseph Barbour, an upper servant in an English village, immigrates with his family to America so he can make his fortune in the nascent artillery business. A man of vision, Joseph foresees a time when wars will not be won with courage and brave hearts but rather by the nations with superior firearms. Joseph and his family settle in a rural Pennsylvania village, but his wife, Hilda, is unhappy and longs to return to England. Their shy and sensitive younger son, Martin, is also homesick, but what troubles him most is the cruelty and violence he sees in his older brother, Ernest. Martin’s fears come to fruition when Joseph forms a gunpowder firm with Armand Bouchard, who lives with his wife and three sons down the road from the Barbours. As the years pass, Ernest proves himself invaluable to Barbour & Bouchard. Ruthless and ambitious, he takes what he wants. But beautiful Amy Drumhill continues to elude him and becomes the catalyst in a war that will estrange the two brothers and leave Ernest haunted by the blood that will be forever on his hands. Dynasty of Death is a moving saga of two families, the epic struggle between two brothers, and the legacy their guns will leave the world as mighty enemy nations gear up for battle.